You know that tingling of excitement when you are looking forward to something so much, you can hardly concentrate on anything in the present? Like a great holiday. But sometimes the event can be even more significant when you realise that it is one of your life’s dreams (or at least used to feel so dream like in its impossibility). For me, it’s a yoga retreat. I have been a practicing yogi for about 16 years after leaving office work with a very bad back for someone in their 20s! 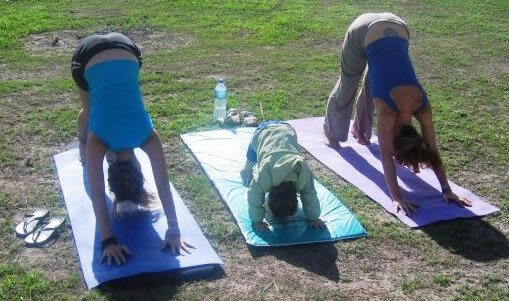 For the last 15 years I have lusted after yoga retreats like most women lust after shoes. For me the yoga retreat occupied that highly desirable put totally out of my price range spot. The last week of June I will be in Spain (without my skates) in the mountains near Malaga with sunshine, two yoga classes a day, meditation in the morning, primarily raw food and juices, relaxation time by the pool and treatments. The joy I feel at just thinking about each of those perfect days lining themselves up for me is so complete, I can literally feel it already. And yet I know that day by day as I unplug and switch off from skating, teaching and writing, I will feel things which right now are unavailable to me in full. We all know the feeling of slowing down on holiday but a yoga retreat will I know gently push me to open into the places and emotions that work and life usually push aside. I want to feel deeply into all the spaces inside myself and sit there with whatever arises, like old friends sipping tea and not needing to speak. I want to dream without the confines of ‘reality’ creating a ceiling of my own creation. I want to freely expand in whatever direction beckons without fear. 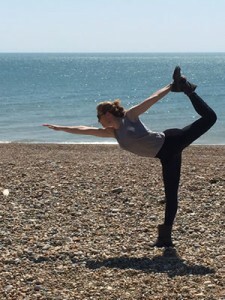 I will be guided by my good friend and exceptional yoga teacher Naomi Clarke (www.naomiclarkyoga.com) whose energy always brings smiles and laughter and who I am always eager to spend more time with. This journey will be full of gifts, but the main one is teaching me that what was a seemingly ‘impossible’ dream, is not only possible but inevitable if you keep it in your mind and your heart for long enough. I will be raising my green juice glass to all our dreams…..